Happy Friday everyone! I hope you all had a great week! I was sick earlier this week so I was out of commission for a couple of days; but, was feeling better by the end of the week! I was able to go out today and spend the day at a craft fair with my mom; which, I love! Hehe - how cute is this?! I ordered my kitties some Cat Wine for Christmas! I'm dying - I seriously can't wait for them to drink their Meow Mosa and Pinot Meow with me! I will do my best to capture a perfect picture for instagram (good luck I know!) One of my cats is crazy for catnip, so we will see how this goes! So this week marks my 4 months on Weight Watchers - I'm not going to lie, I have been a bit of a slacker over the last month. I haven't really been tracking or doing my best! I'm down to 25 pounds lost which feels really great; but, with a little more motivation I could be doing better! I think maybe because I fit in to some of my pre-baby pants and got my wedding rings back on that I let it slide a little bit! I'm going to get back in to it so I lose the next 20 pounds! 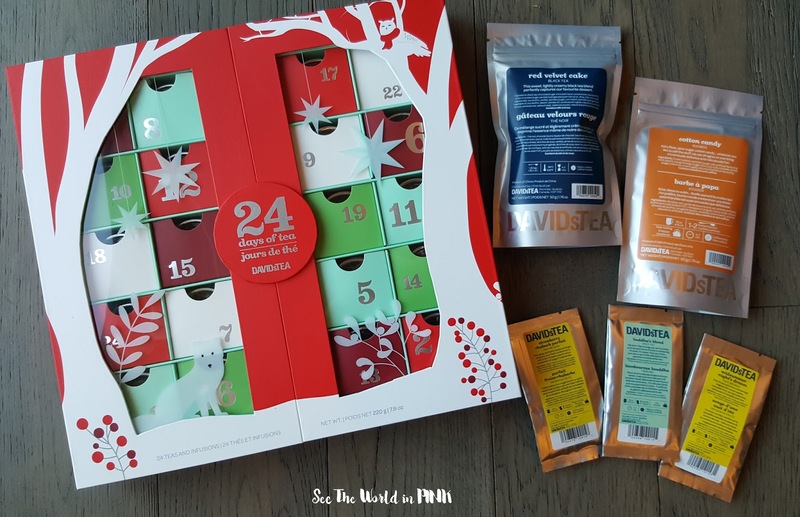 I just got my Cyber Monday David's Tea order - and I finalllllly got my advent calendar so now I can start opening my teas! I also picked up Red Velvet Cake and Cotton Candy because they sounded soooo good! I love the 3 little samples as well - I picked Strawberry Rhubarb Parfait, Buddha's Blend and Midsummers Night Dream! Speaking of my Advent Calendar here is a look at my first week! 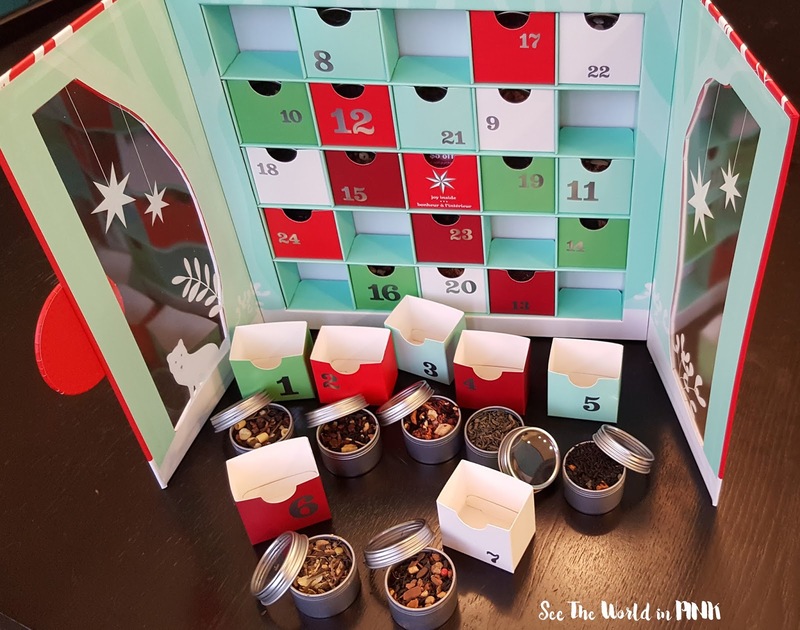 Day 1 - Let It Snow, Day 2 - Chocolate Macaroon, Day 3 - Strawberry Rhubarb Parfait, Day 4 - Organic Silk Dragon Jasmine, Day 5 - Glitter & Gold, Day 6 - Organic North African Mint, and Day 7 - Organic Saigon Chai. So far, so good! I loooove Strawberry Rhubarb Parfait! 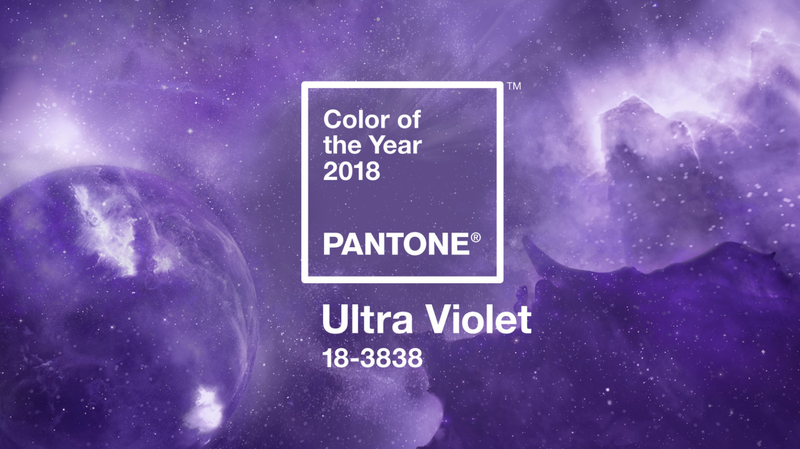 Pantone just announced their 2018 Colour of the Year and it Ultra Violet and it is gorgeous! I always love trying to create makeup and nail looks with the Colour of the Year. I wasn't really in to 2017's Greenery so I just didn't do much with it; but, I'm really loving Ultra Violet - described as a vivid purple! I hope you all have a great weekend! My weekend is really busy; but, it will be great! Where did you get that cat wine?? So cute!! Congrats on the weight loss BTW! Thank you - I appreciate it! It can be such a long process! And the cat wine is from Meowingtons! Isn't it funny? !